Now, I know a ton about BB Creams and CC Creams thanks to my trusty Bobbi Brown training. But I know there’s still a lot of you out there wondering what the heck BB and CC Creams are and how to use them. 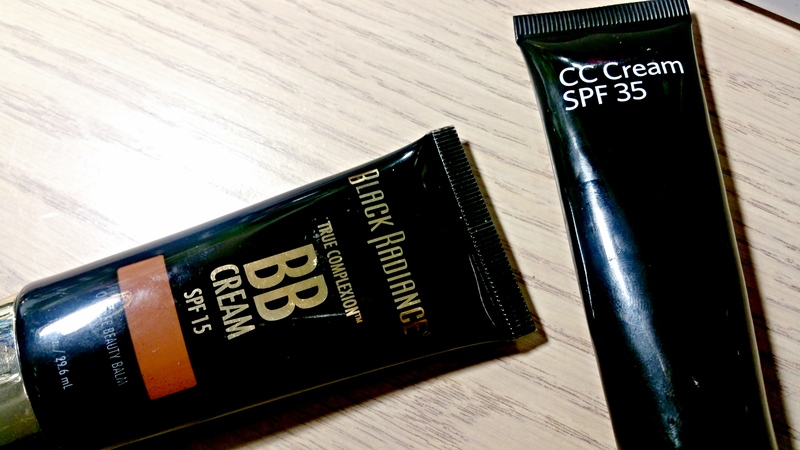 They’re pretty complex products so I wanted to give you a quick guide on exactly what is a BB Cream and CC Cream and what’s the difference between the two. You ready? BB Cream, aka blemish balm, was originally created back in the 60s by a German dermatologist but it quickly became a huge hit in Asia as a one stop shop for women. BB Cream is pretty much an all purpose formula for perfect skin as it’s a moisturizer, serum, primer, foundation and sunblock all in one product. Recently, BB Creams started getting crazy popular here in the US with big brands like Smashbox, Too Faced and Bobbi Brown all whipping up versions of their own so we can have a wonder cream, too. CC Cream, or color correcting cream, is similar to a BB Cream but still a totally different beast. CC Creams can also be used as a moisturizer and often come with great skincare benefits that help improve the texture and appearance of skin over time–like a BB Cream. CC Creams can be used underneath or on top of foundation to color correct imperfections for even, flawless complexion. They’re designed to correct specific skin concerns like redness, sallowness and uneven skin that can make wearing foundation or concealer tricky. BB Creams and CC Creams seem awfully similar but they’re very a different. For starters, BB Creams are skin tone correct and CC Creams usually aren’t. This basically means that you can easily slap on a BB Cream as a foundation and go. No primer or foundation necessary. CC Creams, however, come in funky colors like lavender, green and peach/orange to counteract pesky problems like redness, dullness and hyper-pigmentation. Which would look crazy if you stippled them all over to wear as a foundation, right? That’s because CC Creams focus more on the surface tones of your skin. Your surface tones are colors you see in your skin due to your lifestyle, climate or diet–like red. Or in my case, that dull ashy gray cast I seem to get in the winter, for example. In a nutshell, BB Creams are essentially tinted moisturizers on steroids that can be used as foundation. While CC Creams are used with foundation to color correct skin tone imperfections that can make it difficult for your foundation or concealer to match and look even. If your complexion is naturally clear and even (without redness or dark spots) you could easily survive with just a BB Cream in your arsenal as your morning skincare plus foundation. However, if your complexion needs a little extra help to look clear and even then you should consider adding a CC Cream to your routine. They’re actually pretty easy to use too! Just dab a bit CC Cream on your problem areas, lightly blend and then apply your foundation or concealer on top for a brighter more even look. 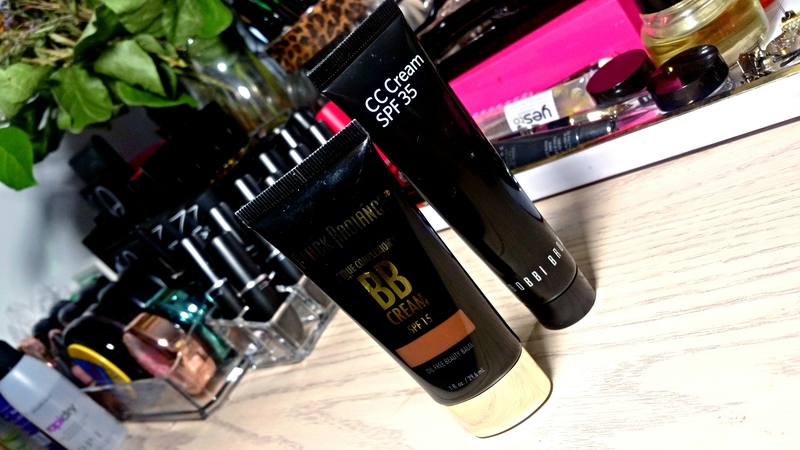 And that’s pretty much everything you need to know about BB Cream and CC Cream! ← Too Faced Chocolate Bon Bons Palette Sneak Peek! Great review, most like myself, had no clue about the difference between the two. I knew the history behind BB cream but not CC. Thanks for the knowledge. Very informative!! Thank you for explaining the difference between the two. I definitely didn’t know the difference or the specific purpose of each. Very informative! =) Personally, every CC cream I’ve used has had absolutely /no change/ on my skin. =( What kind do you use?